My first weekday away from work and kids was delightful! I headed over to the premier annual event at San Francisco's Design Center. I met new faces, old faces, and I was fortunate enough to meet a few very inspirational people. My day began with a ton of laughs listening to Jeff Lewis and Jenni Pulos from the Bravo TV series "Flipping Out". I LOVE this show! My first picture ever with a celebrity. As for content, I couldn't agree more with Sarah Lynch of California Home + Design's article describing the skepticism and interview. He truly was an inspiration. BTW...he has a new line of home goods out. Check it out here. My next stop was the Robert Allen|Beacon Hill showroom to hear Christaine Lumiex's, founder of DwellStudio (my newest resource for fabrics and wallpaper), presentation on Building a Design Business in the Modern Landscape. Truly an inspirational woman and a wealth of knowledge. She cleared any dismay I had about my decision to stay home from this years Alt Summit. What a delightful and beautiful person. She's so fun, laid back, fashionable, passionate, and truly wants others to have the same success. My kind of lady. 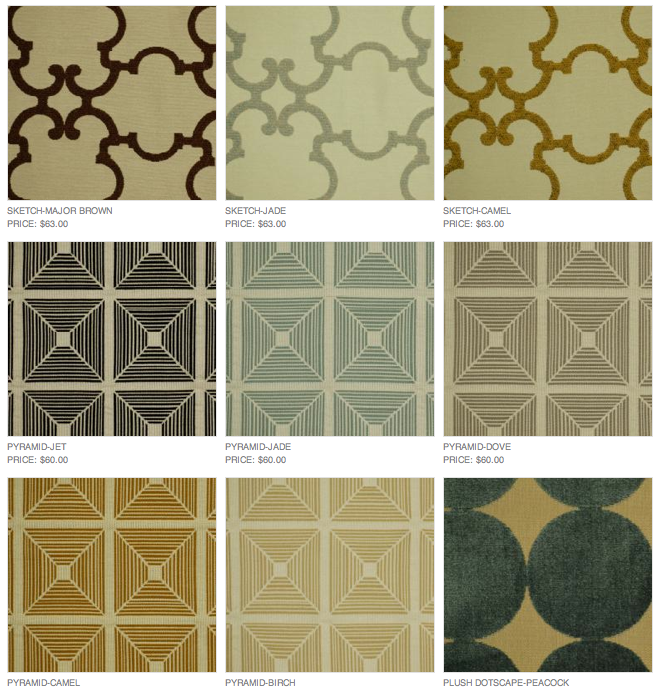 Christaine gave us a sneak peek into the DwellStudio furniture line which showcases DwellStudio's fabric line now exclusively available to the trade. 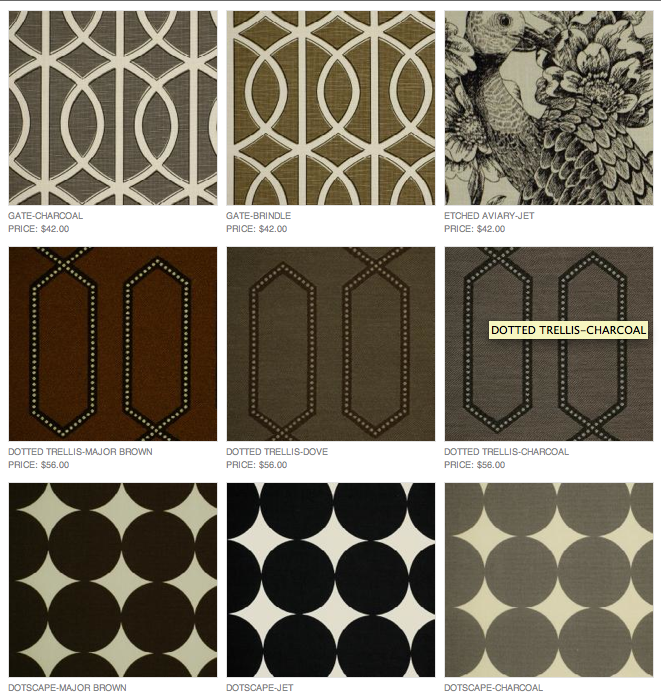 I've included a couple fabrics I'm loving below. And last, but definitely not least, while picking up fabric and wallpaper samples for a project at the Lee Jofa showroom, I was thrilled to introduce myself to Carrie Miller of Massucco Warner Miller. I featured the firm on my blog months ago, as my first choice of firms to work for if I ever was to head back to the corporate world. She was so sweet, and might I say, a stunningly beautiful lady. 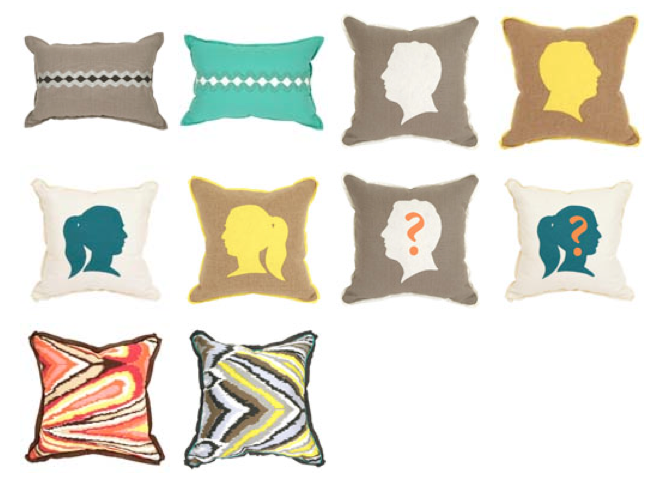 PS..they just started an a la carte offering as well as launched a pillow line! I'm in LOVE! I'm feeling so inspired these days, thanks to all the blogs and tweets I follow. Who do you follow, what inspires you!? I'd love to hear! Headed to see my friend Crystal speak tomorrow AM at the Design Center and then off to Tahoe with the family and friends! Can't wait for Everett and Amelia to see their first snow!